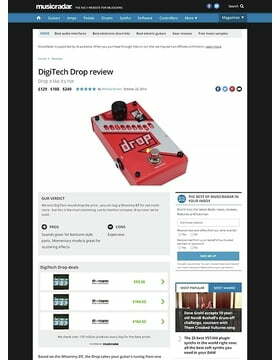 150 customers have given this product a 5-star rating. I love this pedal! I've used it to "transpose" a song on the fly when the singer decided to change keys at the last minute. Super easy! Took all the guess work out around the faster chord changes. Yes it changes your sound a bit, but not really that noticeable in the mix. It would be almost completely unnoticeable if you were using other FX (like overdrive or distortion or a thick chorus ... etc) in conjunction with The Drop. I've also used it as a drop tuner with my 4 string. Just set the switch to momentary and when you want a lower D or C or B or whatever ... just stomp and hold. Not as crisp as playing a 5 string but a handy alternative to a 4 string with a Hipshot D-tuner. 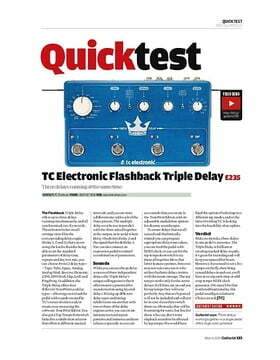 And I've also used it as an octaver pedal - which I really like the sound of. I've found the TC Electronic Sub'n'Up coloured my sound too much. This is a octaver with your clean tone 50/50 mix. Very thick and tidy. So used as an octaver - fantastic! A sparingly used "5th string" addition / Hipshot D-tuner alternative - very useful! And entire "transposed" songs - doable. You might be the only one who notices the change in your tone. 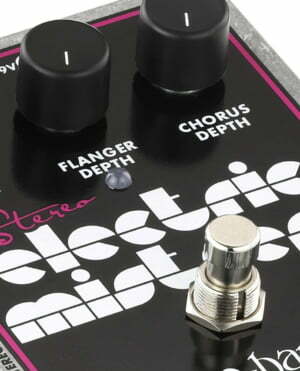 This pedal is a big time money saver. For a bedroom player like myself it's a must have unless you have deep pockets and can afford to buy many guitars assigned for different tunings. So don't be intimidated by the price of something like this. Think of it like a guitar money saver. 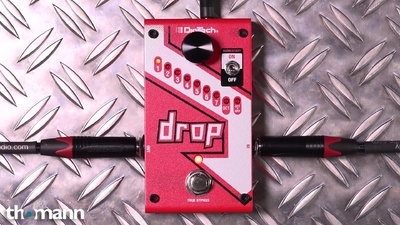 You'll basically save a great amount of money on this pedal. Dropping a semitone is as easy as turning the knob on the pedal to dictate where the red LED light goes to whichever semitone option. There is also an octaver in this pedal too which very cool indeed. Its easy to use with no noticable latency issues AT ALL since I got it but I haven't played anything passed the 4th semitone. 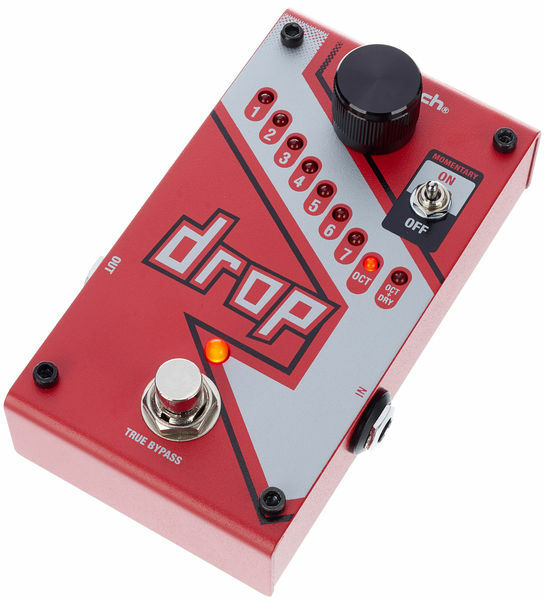 Drop A is as far I'll go but the only bad thing about this pedal which is understandable for this kind of early technology is a noticable deterioration in sound clarity when you get to about 4 semitone onwards. Especially starting at the 5th semitone for people wondering depending on how low they get to in their style of music. 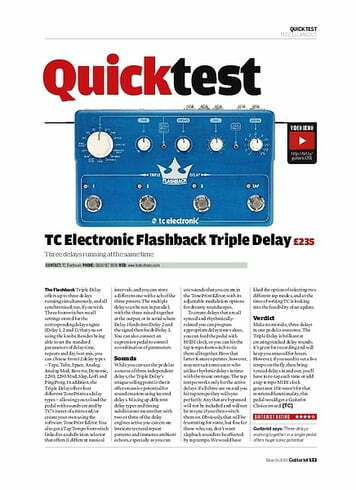 Another thing to note is I'm using a budget solid state amplifier worth less than 200 euro so a lot of other amplifiers may be able to handle it better at the lower semitone settings. ID: 343716 © 1996–2019 Thomann GmbH Thomann loves you, because you rock!